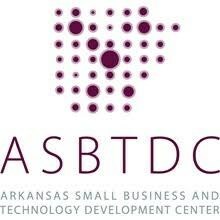 The Arkansas Tech Small Business and Technology Development Center presents “Exploring Entrepreneurship” from 10:00 a.m. to 12:00 p.m. on Nov. 15 at the Russellville Area Chamber of Commerce in conjunction with Global Entrepreneurship Week. Come interact with our panel of successful business owners. Hear their stories, lessons learned, and tips for success. Panelists include Dana Warren (ABC Children’s Academy), Andy McNeill (Denali Water Solutions), Emily Young (Dog Ear Books), and Tony Lee (Lee’s Trash Service). There is no cost to attend thanks to Arvest Bank. Seating is limited with registration required no later than Nov. 14 at 479-356-2067 or http://asbtdc.org/training/russellville-events. You've successfully shared Exploring Entrepreneurship. An error occurred while sharing Exploring Entrepreneurship. Please try again.